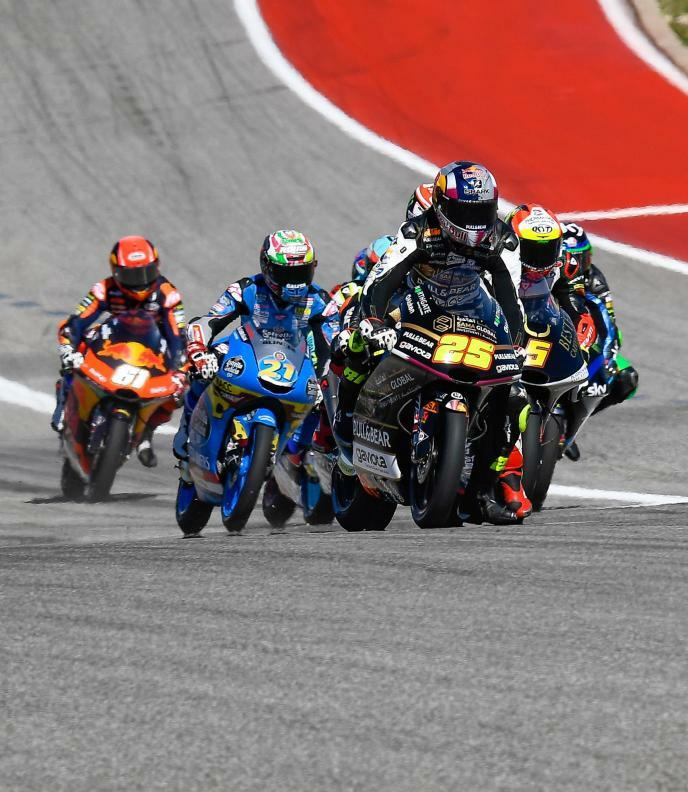 SIC58 Squadra Corse’s Niccolo Antonelli mastered the difficult conditions at the Circuit of the Americas to take his first Moto3™ pole position since the opening round of the 2018 season at the Red Bull Grand Prix of the Americas. The Italian eventually finished half a second clear of everyone else thanks to a 2:31.346 in tricky conditions. 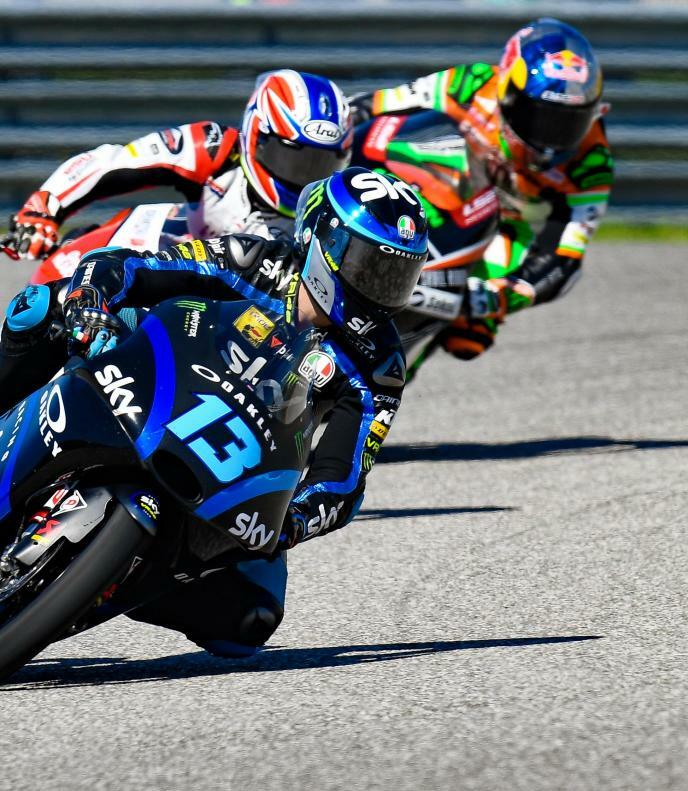 The 23-year-old will be thankful that Sterilgarda Max Racing Team’s Aron Canet and Leopard Racing’s Lorenzo Dalla Porta both crashed out within seconds of eachother at Turn 7 and Turn 11 respectively whilst both were on course to jump to the top of the timesheets. 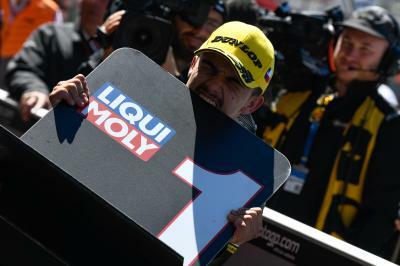 Instead, there will be a new face on the front row of the grid after the reigning Junior World Champion Raul Fernandez jumped into second with his last lap of the session having come through Q1 moments earlier. 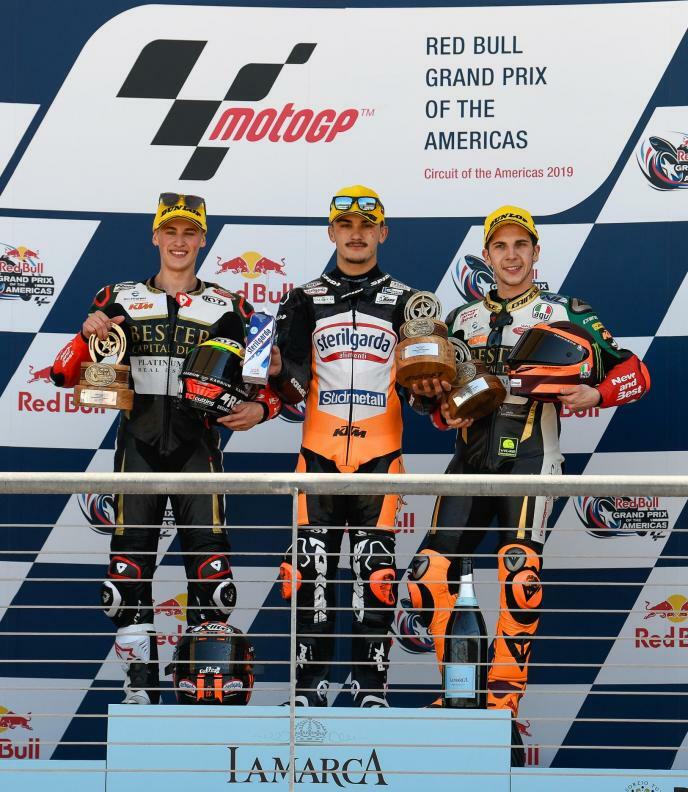 The Sama Qatar Angel Nieto Team rider was clearly delighted to be on the front row for the first time as the young Spaniard enthusiastically fist pumped like he’d won Sunday’s race as he crossed the line. 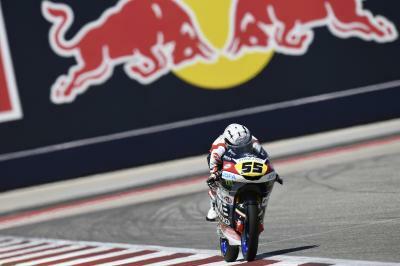 Joining the Italian and the Spaniard on the front row will be Kömmerling Gresini Moto3’s Gabriel Rodrigo after he beat out Argentina race winner Jaume Masia (Bester Capital Dubai) with his final lap of the session. Masia made it through Q1 to secure a second row start, as did Darryn Binder (CIP Green Power) who had an eventful thirty minutes. The South African managed to top Q1 by well over a second despite having a crash at Turn 11 and then looked like he’d take pole position with a few minutes left but eventually had to settle for fifth. 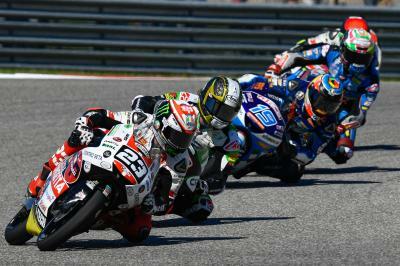 Canet will start sixth after his crash, ahead of Tatsuki Suzuki (SIC58 Squadra Corse) and Petronas Sprinta Racing’s John McPhee. Rounding out row three is Alonso Lopez (Estrella Galicia 0,0) who finished the session 1.6 seconds adrift of Antonelli’s pole lap. 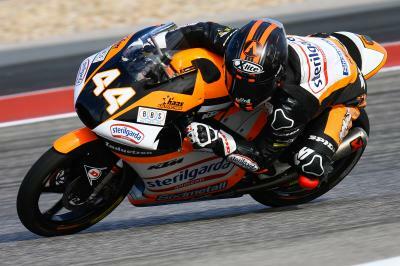 Leopard Racing’s Marcos Ramirez fronts row four alongside his teammate Dalla Porta and despite his pace in the dry yesterday, topping both free practice sessions, Romano Fenati (VNE Snipers) could only manage 12th quickest in the wet conditions. There was earlier drama for the championship leader Kaito Toba. The Honda Team Asia rider crashed in the closing stages of Q1, whilst trying to salvage a place in Q2, and as a result will start Sunday’s race from 24th on the grid.